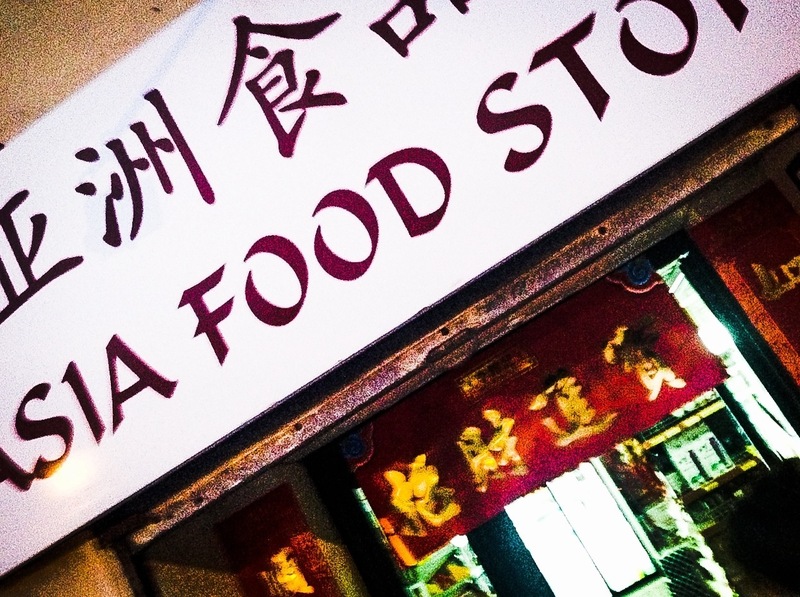 There are a number of Asian food stores on the island and I popped in to Mr and Mrs Wang’s store yesterday as they stock authentic asian ingredients and brands. 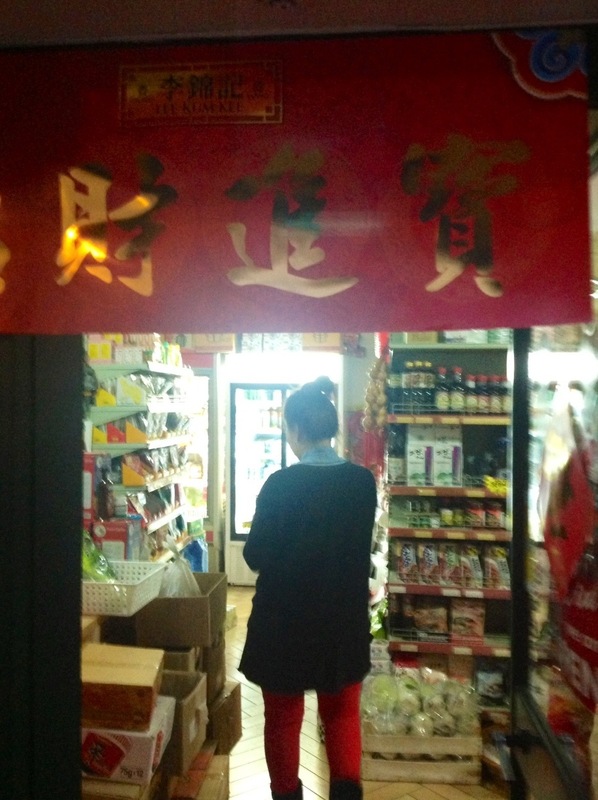 I love Asian food and when I am in Mr Wang’s store I feel that I am back in the Far East. It is no different and we are so lucky to have access to all these great ingredients on the island. Mr and Mrs Wang are from the North East of China and they have been living on the island for 13 years now. They are always so helpful and willing to share their knowledge. We were fortunate to have a Chinese nanny when the kids were young. She was a wonderful cook and most of the Asian dishes I make are originally her recipes. 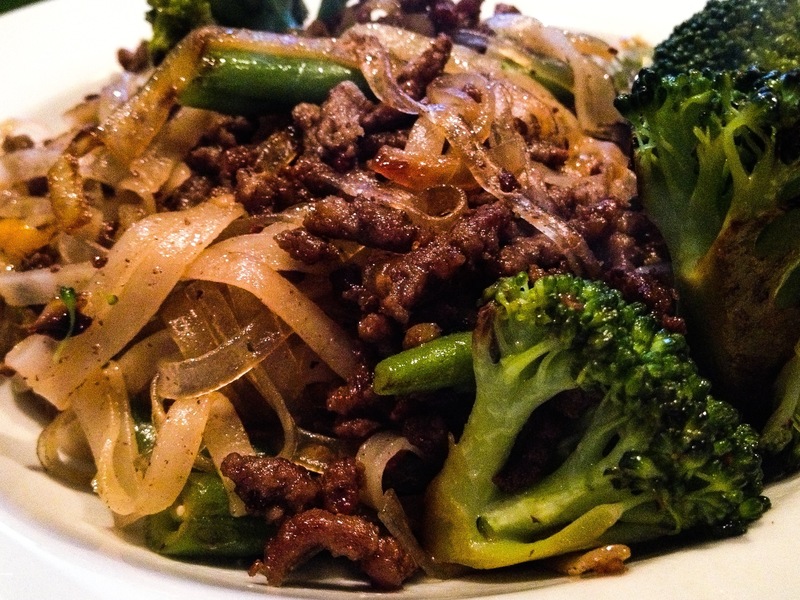 I am making Crispy Beef and Broccoli noodles today. It is a much lighter version to the usual dish and I use a good quality minced beef and cook it until its crisp, therefore avoiding any additional flour, cornstarch or batter and everyone who has tried it loves it. Noodles of your choice, cooked according to instructions on packet. Do not overcook. I used cellophane rice noodles. Heat a wok or a large frying pan until hot and add a little vegetable oil. Add the minced beef, cook and stir constantly to avoid it sticking until it becomes crispy. Drain in a colander so that you get rid of most of the surplus oil. In the same wok add the garlic, onion and ginger and stir fry quickly without letting them brown. Add the cooked noodles and stir to combine the meat. Finally add the steamed broccoli. Add the sesame oil and stir through and finally drizzle some more soy sauce. Serve immediately. This recipe serves 4 but of course it depends on the size of your appetite. I look forward to making this recipe because I do not have a good Chinese restaurant in my area.I have a question about the meat. Is minced beef the same as ground beef in the US or did you mean finely cubed beef you do yourself? I have never seen ground beef used in beef and broccoli here. It is ground beef Jovina. Thank you for pointing it out. Although I have adapted well to American English, there is always much to learn… I am in fact changing it to ground beef in my posting …Thanks again 🙂 and hope you enjoy your noodles …. Every culture has its own terminolgy, so thank you for clarifying these ingredients for me. Absolutely, I do very often make it with chilli too, I adore spicy hot food, thank you for visiting !